Xara has long been one of the "other" programs artists can use for creating designs and illustrations. It also has one very attractive capability in that it is much faster at rendering than comparable programs, in some cases it is much faster than Adobe Illustrator at rendering the same illustrations. Xara Xtreme Pro can be used very effectively to create logos, brochures, websites and photographic panoramas. It is very fast at all these tasks and comes with an array of professional level controls. Version 4 is an improvement over earlier versions in that it not only features new capabilities but also includes support for multicore processors. Added to this new version are 3D capabilities and bitmap editing features which help make it a hybrid creative solution. The editing of bitmaps is in itself different from software like Photoshop in that Xara Xtreme Pro isn't a pixel editor but uses non-destructive kind of element editing which lets you re-edit and modify at a later date. There were some problems with some of the bitmap handling in that when I used filters and plug-ins, Xara had a tendency to get bogged down. Some other problem areas include compatibility with newer Adobe Illustrator and PDF formats, an issue which can be bypassed by exporting the problem file in an earlier revision from the native application. The import of RAW files is also supported, though I haven't tested all available formats. Xara Xtreme Pro provides a comprehensive environment for vector editing, animation and web design all without changing applications. The layer capabilities are well designed and allow you to layer elements for easy editing and tracing. The software features an excellent array of vector editing and creation capabilities including Bevel, Contour, Drop Shadow, Extrude, Fill, Polygon, Transparency and many others. The handling of text is really easy — simplified but powerful. Things like text flow and styling can be done in a flash. Text can be resized, skewed, rotated and more, and it is even possible to apply effects like bevelling, drop shadows, and make the entire text block transparent. Xara Xtreme Pro supports Unicode making it easy to create documents in multiple languages. The Text extrusion tool is used to create and edit extruded text with textures in real time by simply placing and dragging the text. You'll also find controls and settings for creating multipage documents, along with desktop publishing features which include text flow around graphics and the kerning and editing of text. Xara Xtreme Pro 4.0's web capabilities can export documents to HTML for use on a web site. CSS styles are used format your page elements and text and while the code isn't the cleanest, it does the job. One thing for Xara to focus on for the next version of Xara Xtreme Pro would be to offer an option to clean up the HTML code on export. The files generated by Xara are pretty compact and suffer little of the bloat I’ve come to expect from other software in the same class. The PDF export capabilities include support for high resolution PDFs which support Pantone PMS colors and font embedding. Cons: File import could be more versatile. Xara Xtreme Pro is not available for Mac OS X. No pixel editing. Pros: Very fast rendering. Inexpensive in comparison to other competing software. Flexible and powerful. Unlike dedicated software, Xara has a great many features which are useful for the non-designer. Xara Xtreme Pro facilitates the easy creation and editing of documents which can be used by the business user who want to make quick work of their creative business documents (promotions, presentations, marketing, etc.). Using Xara Xtreme Pro you will soon come to appreciate its speed and flexibility. You can add photos, vectors and apply all sort of effects to your documents without having to learn five different programs. Highly recommended. Polaroid are set to release an digital camera which includes an on-board printer which uses the Zink printing technology. The camera/printer will be able to produce 4 x 3 inch prints. It also looks likePolaroid are looking for consumer feedback on the devices final form factor. Visit amateurphotographer.co.uk for more information. HP launched a few new products at SIGGRAPH today. Firstly a few new laptops in the form of the 17" EliteBook 8730w and 15.4" EliteBook 8530w and 8530p. The 8730 features a 17-inch DreamColor display, a quad-core Intel CPU, 8GB of RAM and NVIDIA's 1GB Quadro FX graphics card. The EliteBook 8530w and 8530p, feature 8GB of RAM, a Core 2 Duo chip (the 8530w supports an optional quad-core chip) and HP's brushed anodized aluminum DuraCase. HP also announced 22 and 24 inch displays. The 22-inch LP2275w lights up 92 percent of the NTSC color gamut across its 1680 x 1050 pixels, whilst the new 24-inch LP2475w puts 102 percent across its 1920 x 1200 pixels. 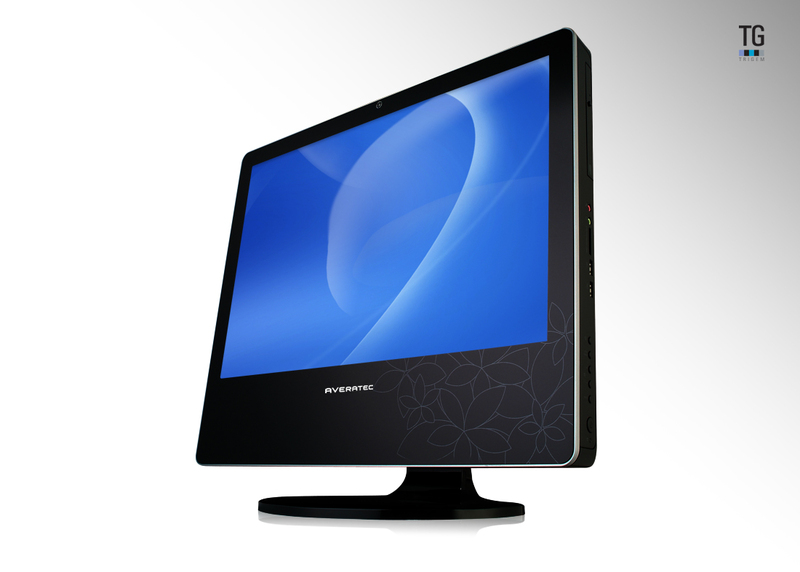 Both displays feature 1000:1 contrast ratios, extra-bright panels and adjustable stands. The LP2275w will be avaialble immediately, while the LP247w will come next month. Retail pricing will be between $459 and $649 respectively. Lowepro, announced the launch of their SlingShot 350 AW. The 350 has larger carrying capacity that other sligshot models and includes a protective space for a widescreen notebook. The SlingShot 350 AW features a main compartment that comfortably fits a professional DSLR fitted with a 70-200. It also accommodates 5-6 extra lenses or accessories. The padded notebook compartment will fit a 15.4” widescreen notebook, it also features a fully adjustable, padded waistbelt; a built-in microfiber cloth to protect LCD screen; Hypalon SlipLock attachment loops for adding accessories; and Lowepro’s patented All Weather Cover. For more information about 350 AW or other Lowepro products, visit http://www.lowepro.com/. Dell have rolled out their Vostro 2510. Their new, slab like, 15.4-inch laptop comes in a two-tone black and red body, incorporates a slot-load drive and a cooling system that vents heat away from the bottom of the notebook. It uses current-generation Core 2 Duo processors, supports a slot-load Blu-ray burner, a minimum 1440x900 resolution display with a built-in webcam, a GeForce 8400M GS for video and a 160GB hard disk. you can increase the display to 1920x1200 and increase storage to 320GB. The laptop won't ship till mid-august but look for more goodies when it becomes available. 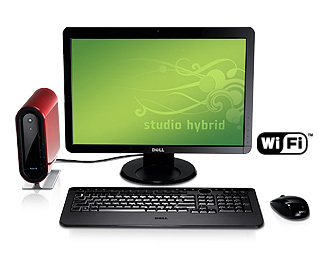 Dell went live with their Studio Hybrid Desktop product page yesterday. The Page shows the Studio Hybrid in a range of colours and offers the unit for a base configuration at $499 (UK prices start at £399). A bamboo version is available for an extra $130. The display will add at least $200 and for an extra $50 you can upgrade to 2GB of RAM. Bluray and Hifi will cost extra. Dell are offering some "Instant Savings," for preconfigured models but no idea if its gonna be a long term deal. These cool little units can be viewed and configured online at Dells product page. Adobe has also released Camera RAW 4.5 to support the additional Lightroom 2 adjustments within Photoshop and Bridge. Lightroom 2 will cost £175 in the UK and $299 in the US. Upgrades from existing versions will cost £69 and $99. UK Pricing excludes VAT. Joe McNally's book “The Moment It Clicks” has received a lot of press and acclaim, so when I received it for review, I already felt that it would be a book which would provide a challenge. There has been a lot of hype about it from all over the photography world. The book has become a bestseller and nothing I say will add to or take away from that. The Moment It Clicks tells a story which is essentially all about the 30 year photography career of Joe McNally, his life, and experiences both professional and personal. The book was written to provide an insight into the world of commercial photography and photojournalism. The Moment It Clicks is not a biographical tome, but more about the pictures McNally has taken, the events in his life and how they have been shaped by his career. The book doesn't really take a chapter type approach (typically, photography books are always organized into traditional chapters and sub-sections), taking instead a more subjective approach. McNally uses a picture and then tells the story behind the picture and details how it was shot. This isn’t a step-by-step approach either, focusing rather on the more important details and insights which will add to your experience of McNally's photography as well as adding to the critical appreciation of your own photography efforts and learning process. The "How It Was Shot" section accompanying each photo provides varying detail with respect to subjective items such as lighting, camera positions, supporting elements, technical and aesthetic considerations key to learning about particular subjects. McNally details the events which surrounded or led up to the moment of each photo. 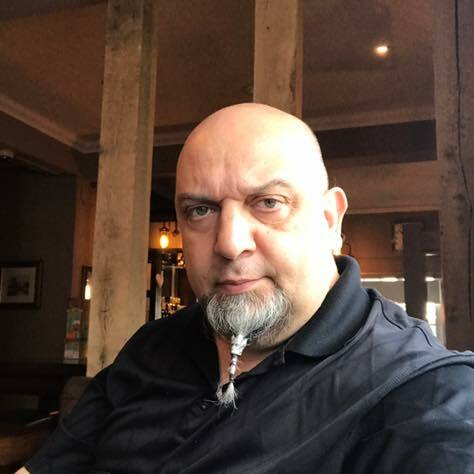 He frequently relates stories about how events affected his life, the adventures and often the misadventures related to the photography he's produced. Some of the stories are highly insightful and others somewhat sentimental. None of this takes away from one's experience of this book and the story it tells. Like many other great storytellers, McNally talks about his mistakes and the things he has learned which have added to his experiences and his art. The Moment It Clicks is well put together and features many excellent images, it also features quite a few images which failed to inspire me. Overall the book is clearly aimed at those of you who are looking for or already involved in photography which is of a more commercial nature. There are some other annoyances such as the frequent repetition of certain terms throughout the book and in the footnotes. As well, the photo in which McNally shows all his kit is a bit of overload. The reality is that it's quite unlikely that Joe would carry all that kit around with him all the time. In fact, he'd need a retinue of Porters to carry it all. It would have been more useful if he showed the various kit he carries on different assignments. All that aside, Joe McNally tells his story well, and leaves you with some very memorable, useful and inspiring insights. This kind of book stays with you a lot longer than most technically based, how-to books, because it humanizes the process of learning and the process of involving yourself in photography. There is a folkloric nature to it, which you can identify with much moreso that any technical manual or step-by-step type of book. Life, after all, is experiential and the best way to relate those experiences is to tell stories. Cons: Very few. Definite bias toward commercial photography. Frequent repetition in footnotes. Pros: Humanistic approach to storytelling. Storytelling that engages and educates the reader. Joe McNally tells his story in a manner which allows the reader to identify and learn from his own personal experiences in photography. As a book on commercial photography it is a book you must have. If you are looking for a book on fine art photography this may not be it. The allegorical nature of the teaching in this book is engaging and will leave the reader with much to think about. Highly recommended. Christopher Grey has produced a reference book which covers most Canon digital SLR (DSLR) cameras and is squarely aimed at improving your use of your DSLR. The title of the book includes the phrase "The Ultimate Photographer's Guide" which is quite a boast. So as usual when we encounter this sort of thing, our initial goal during the review is to establish whether or not the substance of the book lives up to the 'hype' of the title. Grey then looks at the Zones — Basic and Creative — which allow users either easy choices for shooting under different conditions or, as in the Creative zone, a more technical approach requiring some knowledge of the features and capabilities of your Canon camera. The Basic Zone uses icons to allow the user to easily select a preferred shooting mode. With shooting mode selections in Canon DSLRs for Full Auto, Portrait, Landscape, Close-up, Sports and Night Portrait, it's easy enough for most people (especially casual photographers, more serious but still novice photographers, and even many intermediate photographers). A Basic Zone selector is missing from the dial on all prosumer and pro Canon DSLR models. Canon DSLR: The Ultimate Photographer's Guide then looks at the focus, exposure and style, examining the use of external light meters, color temperature, focus methodologies and preferences. It is here where some excellent lessons are imparted regarding the judicious use of the excellent focusing technologies found in Canon cameras. Grey then takes a look at Canon lenses. The coverage here is good, firmly establishing the practical uses of a wide variety of Canon lenses and examining the where and why of lens use too. In the next chapter, the use of Canon flashes is covered including built-in pop-up flash, accessory flash, off-camera flash, studio flash and location lighting. The book's penultimate chapter looks at one of the most important parts of your toolkit: The use of the Canon Digital Photo Professional software. In this chapter the handling of your images — more specifically the Digital Negative or RAW file — is covered in some depth. Although Adobe Camera RAW (ACR) is mentioned, neither it nor Adobe Lightroom, Apple Aperture, ACDSee Pro 2 or any of the other RAW acquisition solutions are covered. The book finishes with a look at the works of a number of photographers from around the world. Cons: No coverage of other RAW software. Pros: Excellent layout and information throughout the book. Easy to follow. Although the book is aimed at the beginner and intermediate user there are many pros out there who use it instead of the manuals supplied with their Canon DSLR. Canon DSLR: The Ultimate Photographer's Guide is a book which should easily be updated as newer DSLR models are released. If you own a Canon Digital SLR camera then this excellent book from Focal Press is a worthy addition to your library. A must have for almost any serious photographer's reference library (because you never know when you might need to use a Canon). Highly recommended. Nik software have released an update for Color Efex Pro 3.0. The 3.1 update includes support for Aperture and Capture NX 2, and compatibility with Photoshop® Smart Filters. The BJP have posted an article which details the Governments plans to discuss the issue of Photography in Public Places and recent behaviour by Police and Private Security Guards when it come to dealing with Photographers. Samsung have announced a number of new cameras. Their new NV100HD offers 14.7 megapixels, a 28mm Wide angle lens and can record 720p HD video. It also features a touch screen and has optical image stabilization. The new NV9 features a 5x optical zoom, 10.2 megapixel sensor and has the capability to play MP3 music files. The new Samsung L310W features a 13.6 megapixel camera and has a 28mm equivalent wide angle lens. Their S1070 compact digital camera, features a 10.2 megapixel sensor, a 3x optical zoom and a 2.7" LCD screen. The L201 is a 10.2 megapixel compact digital camera which feature Samsung's Auto Contrast Balance which will brighten dark areas in high-contrast and back-lit scenes. It can also charge batteries directly in the camera. Phase One have announced their new P65+ 60 megapixel digital back. This unit is a full frame, 645 medium format back, which can shoot at 1 FPS, an uses a proprietary sensor built. The back will retail at $39,990 and will no doubt only be affordable for industrial level photographers. Nik Software announced their new Silver Efex Pro photographic plug-in for use with Adobe® Photoshop® and Apple® Aperture™. Silver Efex Pro is an advanced solution which allows users to create black-and-white photographs which closely emulate real world films. It uses advanced imaging algorithms to protect against unwanted artifacts, and emulates 18 black-and-white film types. Silver Efex Pro also features a state-of-the-art grain engine that according to Nik software, "truly mimics the silver halide process and creates the highest quality black-and-white images possible from scanned or digital color photographs." For more information about Silver Efex Pro, and to download a free 15-day fully functional trial version, please visit silverefexpro. Nik Software Inc. have announced the immediate availability of their award-winning Color Efex Pro 3.0 photographic filters for Capture NX 2, the latest version of Nikon's flagship photo editing software. Color Efex Pro 3.0 is a powerful and easy to use set of photographic based filters. "Unlike using plug-ins in Photoshop which require controls located in a separate interface, enhancements are made directly on the image in real-time and non-destructively in Capture NX 2, ... This tight integration dramatically simplifies enhancing images and offers photographers a powerful photo editing solution," said Michael Slater, Nik's President and CEO. Color Efex Pro 3.0 adds nine powerful new filters that increase the traditional and stylistic range of the collection. New filters include Bleach Bypass, Cross Balance, Film Effects, Film Grain, Glamour Glow, High Key, Low Key, Polaroid Transfer, and Tonal Enhancer. Previously available filters have also been updated to provide even more options. Color Efex Pro 3.0 for Capture NX 2 has 52 filters, with a possibility of over 250 effects available. A complete filter list can be found at: cep3fornx2. 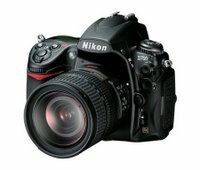 Nikon have released a firmware upgrade for the D3. there are no major bug fixes other than one for a dead battery issue that some people have been experiencing with both the D3 and D300. There are however a a few additions worthy of consideration. Images captured with “Rotate tall”, in the playback menu, set to “On”, are not automatically rotated for display immediately after capture (image review). A new “Shooting menu bank” option has been added. When “Choose image area (FX / DX / 5:4)” or “Choose image area (FX/DX)” is selected and the function button (Fn) is pressed, the image area setting is displayed in the top control panel, in the shooting information display, and at the bottom of the viewfinder. A “Copyright information” item has been added to the setup menu. When “Copyright information” is enabled, the copyright symbol ( © ) is shown in the shooting info display. “Recent settings” can now be displayed in place of “My Menu”. The virtual horizon can now be displayed with shooting in LiveView mode. The “Vignette control” setting can now be confimed in shooting information. The “Vignette control” item in the shooting menu now supports all types of G- and D-type lenses, except DX and PC lenses. The “Vignette control” compensation value has been optimized for shooting with “Active D-Lighting” the shooting menu. Electronic analog exposure displays are now shown in the control panel and shooting info display while the exposure compensation setting is being applied. The degree of the “High ISO NR” setting can now be confirmed in the shooting info display while the “High ISO NR” setting item, in the shooting menu, is being applied. Design of the FX-format icon in the “Choose image area” setting has been modified. Ankara, Riyadh, Kuwait, and Manamah have been added to the “Time zone” options for the “World Time” item in the setup menu. When a GPS device is used and no heading information is available, –.–° is now displayed for the “Position > Heading” option in the “GPS” item in the setup menu. When shooting in LiveView mode using Camera Control Pro 2 (ver. 2.2.0) or later with a PC-E lens, the aperture setting can now be adjusted from the computer. Autofocus performance has been improved. An issue that, in some rare circumstances, caused the battery indicator to blink, regardless of actual battery charge, has been resolved. Errors in the German help displays have been corrected. US customers can download the Nikon D3 Firmware 2.0 here. Nikon have just released the D700 digital SLR camera. This DSLR is aimed at the Prosumer and is based upon technologies found in their D3, boasting pro-level performance and an extensive array of features and innovations. It also features the Nikon FX-format CMOS sensor, Nikon’s EXPEED Image Processing System, Nikon’s renowned 51-point auto focus system with 3D Focus Tracking and two Live View shooting modes. Having seen the liveview in use on the D3 it is something I wish I had on my Canon Eos 5D. Growth in the Linux business - that is, the Linux business desktop - is slow. But determined companies can make things happen (and grow somewhat faster too?) as long as they keep their eye(s) on the ball. I remember when Xandros was a struggling little startup, but oh how times have changed. We still think that Xandros is the most business-facing Linux distribution (with kudos to Linspire and Red Hat as well, no doubt), and Xandros continues to remain focused on expanding its footprint on business desktops. The acquisition of Linspire (another Debian-based Linux distribution) helps narrow the somewhat bewildering field of choices confronting any business considering a jump to Linux. Choosing something other than Windows or Mac OS X has never been risk free, but we really think that Linux is a safe bet these days especially with Microsoft Office file compatibility so well covered by OpenOffice for Linux.